Over the last few years, the concept of rewilding has grown in popularity, with the movement gathering momentum in the wider environmental arena. De-extinction however, appears to be less well known in general ecological and conservation circles. Consequently, the word ‘de-extinction’ within the title of Britt Wray’s book, is likely to make you sit up straight in your chair and pay attention; it is difficult not to conjure up images of Jurassic Park. “a scientific movement aimed at creating close proxies of extinct species through various kinds of selective breeding, cloning, and genome engineering. This isn’t about resurrecting extinct species per se, at least not in the sense of bringing back perfectly identical copies of the woolly mammoth, Tasmanian tiger, or passenger pigeon, for example. Instead, this state-of-the-art science attempts to create new animals that very closely resemble those species and perhaps eventually introduce them into the wild”. The concept centres around ‘keystone’ species – i.e. 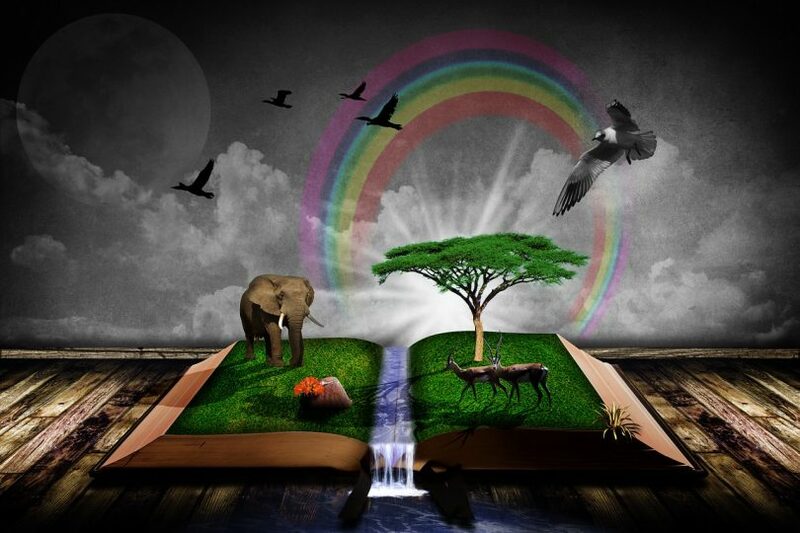 those species that are considered to have played a crucial role in maintaining balance within an ecosystem. Some of the functions of these keystone species are not present in any other species; therefore, de-extinction is more about bringing back the desirable traits of an extinct animal and planting these traits within a living animal, rather than re-creating the extinct animal in its entirety. What follows is an eye-opening journey through the various mechanisms of de-extinction, supplemented with the retelling of interviews with scientists and researchers at the cutting edge of this ‘movement’, along with their reasons for pursuing de-extinction. This is balanced by the numerous considerations of ‘resurrecting’ animals and manipulating natural systems in this way. The use of detailed species examples in the book helps to bring the concepts to life. Wray manages to pitch the technical detail just right – enough information in order to follow and understand the processes, without causing a less-scientific mind to drown in a sea of overwhelm. De-extinction throws up numerous ethical, cultural, regulatory, welfare and legal considerations, which Wray explores. She draws on the expertise of other researchers and those within disciplines such as philosophy, who frequently offer up a more cautionary viewpoint. “Given the current context, as we’re letting endangered species go extinct, resurrecting them doesn’t represent the beginning of a new ethical relationship with them. It could just begin another phase of extinction for them” (Thomas Van Dooren, leading philosopher in the subfield of extinction studies and senior lecturer at the University of New South Wales, Australia). Other applications of the science behind de-extinction are also discussed by Wray – for example, using the technology to help today’s endangered animals adjust to climate change or pollution, or to increase the gene pool of a struggling species. Whatever your feelings about de-extinction, ‘Rise of the Necrofauna’ is a truly engaging read and thought provoking to say the least. Wray’s enthusiasm is infectious, making a technical and complex subject both approachable and captivating. 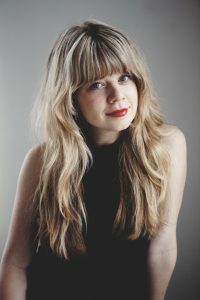 Author Britt Wray ©Greystone Book Ltd.
About the Author (book): Britt Wray is a radio broadcaster and writer and has worked as a host and producer on programs for CBC Radio. She holds a BSc in Biology and is a PhD candidate in Science Communication with a Focus on Synthetic Biology at the University of Copenhagen. 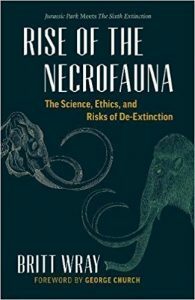 You can purchase Rise of the Necrofauna – The Science, Ethics and Risks of De-Extinction by Britt Wray, via Amazon, in hardcover HERE or Kindle edition HERE.